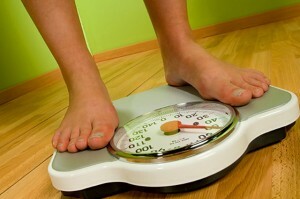 HCG 500 Calorie Diet: Is It A Safe Method For Weight Loss? There are a lot of people who are overweight and obese. That is a fact in today’s world. Due to a person’s lifestyle and eating habits, more and more people are becoming overweight; for this reason, there are also a lot of diet programs and techniques that promise fast and safe weight loss. Diets don’t always have to be traditional for it to be effective. However, if you are considering a diet program that involves injecting HCG or human chorionic gonadotropin, you have to first understand what it is about and determine whether or not it is a safe weight loss option for you. 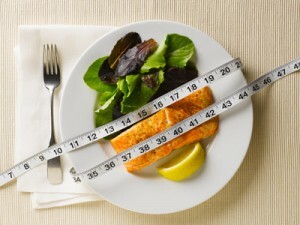 What Is HCG 500 Calorie Diet? The HCG 500 calorie diet was started by doctor A.T.W Simeons who is an obesity and weight regulation specialist. He introduced a program that has helped a lot of people to lose weight, this being the HCG diet. HCG is a hormone that most likely found in pregnant women, and is a hormone that is created by a human being’s body to nourish and protect the foetus. This hormone takes the stored fat reserves and changing it to be a nutrient for the placenta. This is what gave the doctor the idea that if the hormone can drain fat cells and transform it into a good energy, and to also help individuals to lose weight. The HCG 500 calorie diet, works by suppressing a person’s hungers well as help to trigger the body’s use of fat stores for energy and fuel. This diet restricts the individual to only take 500 cals each and every day, preferably organic and unprocessed foods, used in conjunction with either HCG injections or drops which go under the tongue. This plan needs to be followed for 45 days straight so that your metabolism will get used to it thus you will lose several pounds. The unneeded fat stores in the body will be released into the blood stream thus eliminating it without a hint of hunger. The HCG products have been approved from the FDA in the regulation and treatment of menstrual cycles in women and as an aid in conception, but have not be approved for weight loss. There might also be certain side effects from the HCG injection or serum drops and nutritional deficiencies. Since the HCG 500 calorie diet program limits the intake of calories to only 500 calories, it is too close to starvation level. The minimum calorie level that are needed for the average adult to provide enough energy and offer proper nutrients, is about 1200-1500 calories daily. There might be a risk of losing muscle mass and this can be alarming since the muscle mass keeps your metabolism in good condition. For this reason, before you consider the HCG 500 calorie diet program, you must first consult your doctor or physician to ensure that there will be no potential medical problems that might arise.